This Texas calligrapher thinks there is something magical about receiving a hand addressed envelope in the mail. It’s really the first thing you open when its written in shimmering gold ink and lovely calligraphy. This envelope addressing was completed in my modern calligraphy Hayden hand using gold ink and the standard stagger layout. You can just see it shine in the top corner. The hayden wedding calligraphy has been super popular this year. It is legible calligraphy with a modern twist for a fun celebration. I like that it is a little bit casual and flowing. But the gold can elevate the feeling to show off the wedding calligraphy the moment it is retrieved from the mail box. 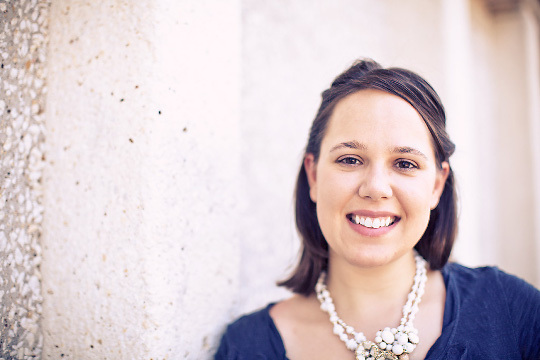 Hi – I’m a Dallas calligrapher and I took these pictures in the blazing heat! I am finally getting some of my work from last year photographed (only 10 more pounds of paper to take pictures of!). I’m thrilled to share some fun brush calligraphy envelope addressing with you. This centered style looks great on the square envelope. It also takes up more space since the lines must be broken up. But, enough room is left for the postage. I’m thinking some vintage stamps would look amazing on this. Maybe one of those neat corner triangle stamps. What do you think? I love the texture and dimension with this one. Brush calligraphy has a completely different look and feel to pointed pen calligraphy. It has become a great alternative for a casual style. Some wedding calligraphy just does not require a traditional feel or formal touch and this is a super option. 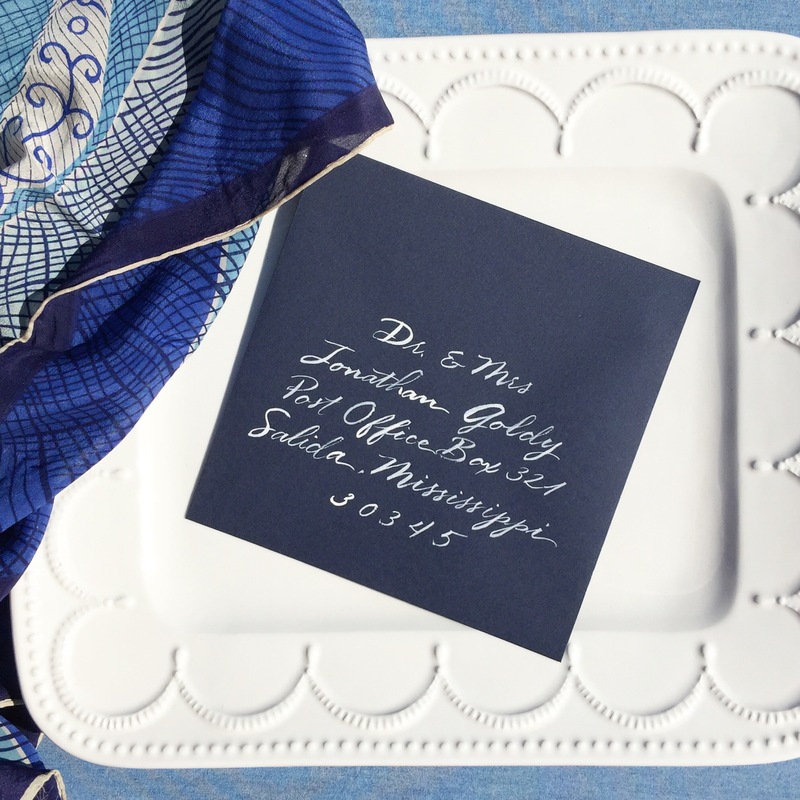 Also – blue and white calligraphy has to be my favorite. And the white on blue with the subtle color variation has me swooning. 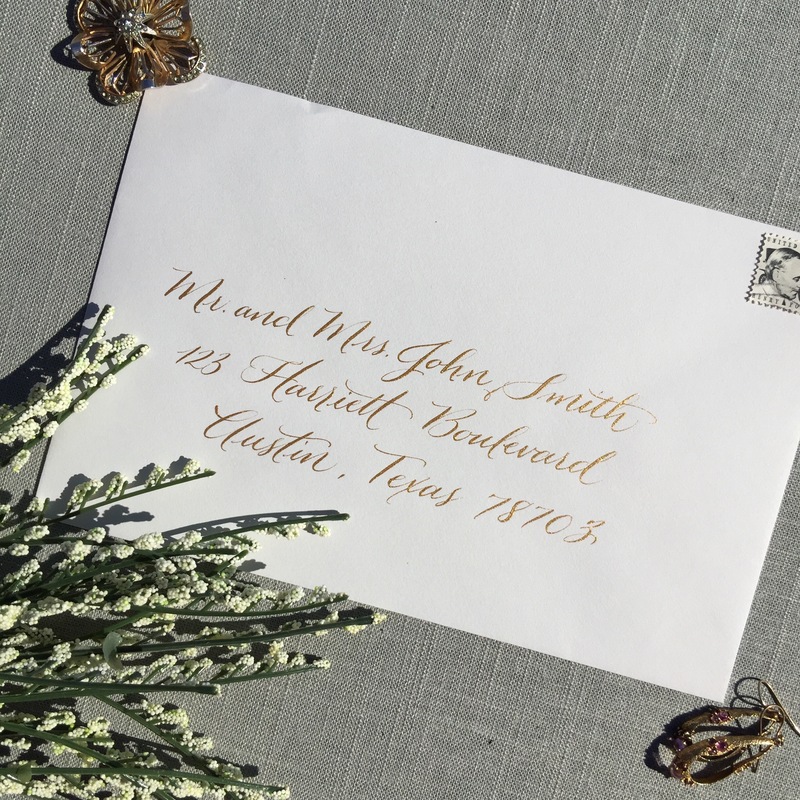 Don’t forget – the wedding stationery season is here – be sure to order your calligraphy at the same time you are ordering your invitations and allow for approximately 2 weeks for envelope addressing! 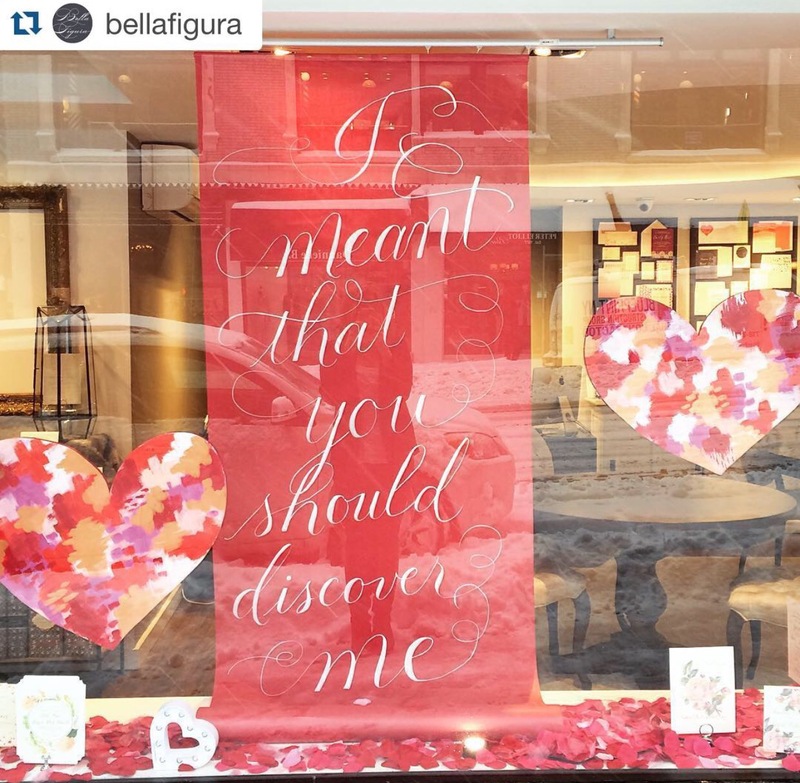 Any Dallas calligrapher will fill their schedule quickly!